Behind walls, beneath floors, underneath sinks, and even buried in the ground, there is a network of pipes running in and around your home. If any one of these pipes should become damaged or leak, there may be serious consequences, depending on the location and what is flowing through the line. 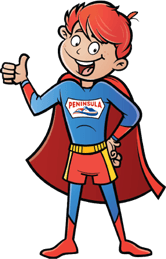 If you experience any issues with a gas or water line on your property, call the experts at Peninsula. Since 1935, our licensed plumbers have been providing top quality service to homeowners throughout Delaware and Maryland. If you see, or suspect you have a leaky or damaged pipe, call Peninsula for pipe repair or replacement. Give us a call at 302-629-3001, or contact us online. Any number of environmental or man-made issues can cause hairline cracks in your pipes, including corrosion, deteriorated seals, hard water, and shifting earth. Over time, hairline cracks can expand, growing large enough to damage your pipes and cause leakage, and if not caught quickly, can cause thousands of dollars in damages. Catching and repairing any cracks in your water or gas lines is crucial to the safety and integrity of your home, and family, and Peninsula can help. Call us for pipe repair or replacement at 302-629-3001, or click here to contact Peninsula online. What Can Peninsula Do For You? To learn more about video pipe inspection, or schedule pipe repair or replacement, call Peninsula at 302-629-3001, or contact us online to set up an appointment. Why Call Peninsula for Pipe Repair and Replacement in MD and DE? Peninsula has been a trusted name throughout Delaware and Maryland, since 1935, where we’ve worked tirelessly to build and maintain our reputation for quality, service and dependability among our customers and neighbors. The latest in leak detection and repair technology. Hassle-free payment options to suit any budget. 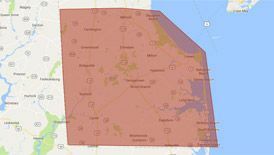 To learn more about pipe repair and replacement on the Delmarva Peninsula, give us a call at 302-629-3001, or contact us online, today!